Germany, Austria and Switzerland have pulled a few Simpsons episodes from airing because of potentially sensitive nuke jokes in light of Japan's nuclear situation. 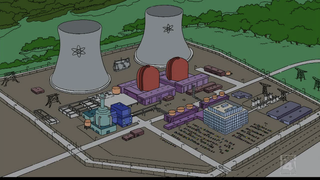 Austria's ORF has already pulled two episodes set to broadcast: Episode 66, Marge Gets a Job, which features scientists Marie Curie and Pierre Curie dying of radiation poisoning; and Episode 346, On a Clear Day I Can't See My Sister, in which characters joke about a nuclear meltdown. Tagesspeigel says ORF has held back eight Simpsons episodes until the end of April, when it will review its Springfield disaster policy.